Today marks the 1969 release of the Sly and Family Stone album "Stand!" So, they'll get us going today . . . 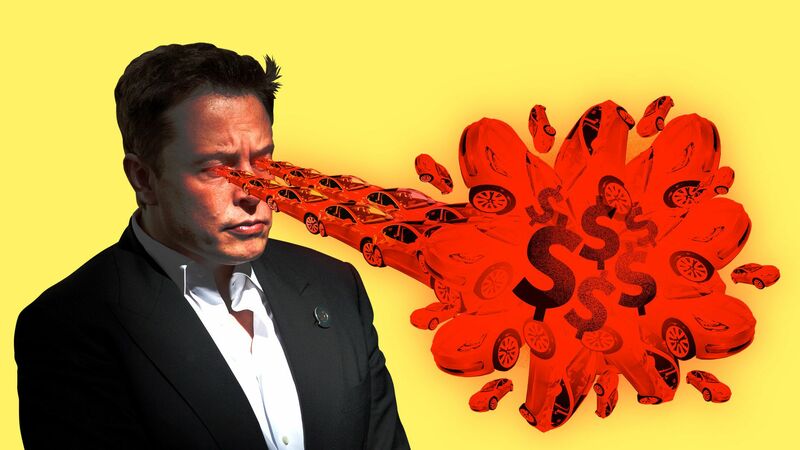 Call him erratic: Tesla CEO Elon Musk eagerly told analysts he's on the right path, refused to answer questions he called "boring," and told off a broker whose clients, he said, can't tolerate market volatility. Why it matters: By the time Tesla's first-quarter earnings call was over Wednesday evening, its share price had dropped by 4.5%. He's still not making enough Model 3s. And he has angered analysts responsible for rating his shares (here is the exchange). Much of the market thinks that Musk will be forced in the second half of the year to raise cash to support Tesla's ramp-up. In the call, Musk reiterated that he has no such plans. But in the event the market is right, it won't help that he insulted a group of the folks who influence the success of equity sales. His Gigafactory in Nevada is producing 3,000 to 5,000 battery packs a week, a scale that will support his push to be producing 5,000 of the mainstream Model 3 electrics a week within the next couple of months. Over the last three weeks, he accelerated the speed of battery pack production from seven hours to 17 minutes. Go deeper: Click here for more. A climate policy pursued under former President Obama is poised to create thousands of jobs and lower America’s trade deficit, according to a report backed by a trade group. Why it matters: Usually it’s the other way around, with industry slamming an Obama-era regulation. The report by this trade group, which represents some 300 companies in the air conditioning, heating and refrigeration industries, flips conventional wisdom on its head. 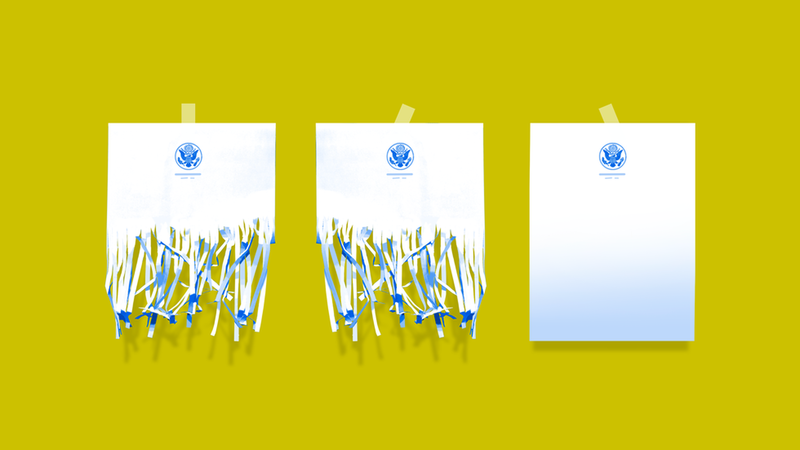 Between the lines: The reason why is simple, and it has nothing to do with climate: Companies like Honeywell, Trane and Carrier have invested millions of dollars adapting to what they have long expected the policy to be, and they want to make sure their investments aren’t wasted. Who's pushing: The report by two industry groups — the Air-Conditioning, Heating and Refrigeration Institute and the Alliance for Responsible Atmospheric Policy — was sent Wednesday to the Trump administration. The report finds that the U.S. would reap broad economic gains if the federal government ratifies what’s known as the Kigali amendment to the Montreal Protocol. The Montreal Protocol is a 30-year-old treaty to help mend the hole in the Earth’s ozone layer (it’s working). The Kigali amendment is named after the Rwandan city where world leaders agreed in 2016 to phase down refrigerants found in appliances like air conditioners and refrigerators that contain greenhouse gases called hydrofluorocarbons, or HFCs. For the amendment to take effect, the administration would need to send it over to the Senate to vote on ratification. 63.96: That's the record percentage of wind energy penetration in the Southwest Power Pool (SPP) region recorded in the very early morning hours of April 30, the organization reported this week. "Wind served 13,644.35 MW of the 21,331.57 MW total load," they said via Twitter. The SPP oversees transmission and wholesale markets in all or parts of 14 states, including states where wind is a major energy source like Kansas, Nebraska, Oklahoma and South Dakota. One level deeper: "The current all-time high wind generation was set at 15,690 MW on December 15, serving 51% of total load at that time," S&P Global Platts reports. 2: That's the number of consecutive weeks that U.S. crude oil exports have averaged over 2 million barrels a day. It’s the first time exports have been over that level for two weeks in a row, according to federal data. The Energy Information Administration reported yesterday that crude oil exports averaged 2.15 million barrels per day for the week ending April 27, down from 2.33 million the prior week. Quick take: The factoid represents how the U.S. shale boom, combined with the lifting of the export ban at the end of 2015, is making the country an increasingly prominent player in crude export markets. Of the 5 times the weekly average has exceeded 2 million, 4 of them have occurred this year. Chart from Rhodium Group's report "Sizing Up a Potential Fuel Economy Standards Freeze." CAFE is Corporate Average Fuel Economy regs. 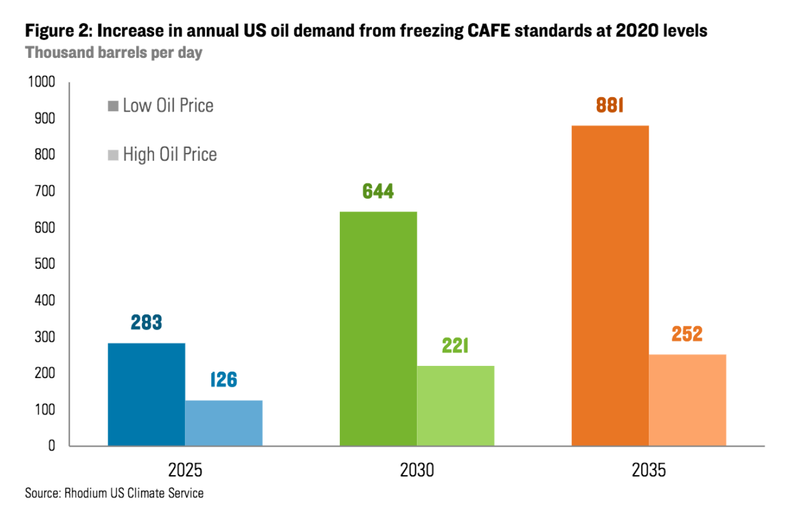 CAFE and oil demand: The Rhodium Group consultancy has a new analysis of the Trump administration's moves to scuttle Obama-era mileage standards for model years 2022–2025, and potentially block California from implementing tougher standards too. Why it matters: Stricter mileage and carbon emissions rules for cars was among the pillars of Obama's environmental agenda. What they did: Rhodium modeled what press reports say could be an administration move to freeze the national standards at 2020 levels and thwart California (and hence other states that follow its lead). U.S. oil consumption would be between 126,000 and 283,000 barrels per day higher in 2025 compared to maintaining the Obama regs. That rises to between 221,000 and 644,000 barrels higher in 2030, and 252,000 to 881,000 barrels by 2035. "This increase in oil consumption has modest GHG emissions implications in 2025 relative to recent power sector developments, but the magnitude grows over time," they write. What the Saudis want: Bloomberg explores the implications of a new International Monetary Fund report which estimates that Saudi Arabia would need oil prices at $88 per barrel to balance its national budget. This would be roughly $15 above today's Brent price. Why it matters: The story says this helps explain why Saudi Arabia, OPEC's most powerful player, is pushing to continue the cartel's output-cutting deal with Russia even though it has largely succeeded in the stated goal of clearing the global crude glut. The kingdom's push to keep the curbs in place is "fanning speculation that its main aim has been securing a higher price," the piece states. Offshore drilling: The consultancy Rystad Energy predicts in a new analysis that 100 new offshore oil projects will be sanctioned worldwide this year, compared to 60 last year and fewer than 40 in 2016. One reason for the jump is lower project costs. "These projects represent a collective $100 billion worth of capital investment, giving an average of about $1 billion per project. In contrast, the average projected capex for offshore projects approved in 2013 was $1.8 billion," the note states. Making it official: Yesterday the American Petroleum Institute announced that its next president and CEO will be Mike Sommers, a longtime Capitol Hill veteran who currently heads a private equity trade group. Axios broke the news earlier this week that he would be tapped for the job. One level deeper: This Wall Street Journal piece explores his relative lack of energy experience, although Sommers notes it was part of his portfolio during his years working for former House Speaker John Boehner. “I do think that one of the things they were attracted to is somebody who can take a fresh look at the organization,” he tells the WSJ. 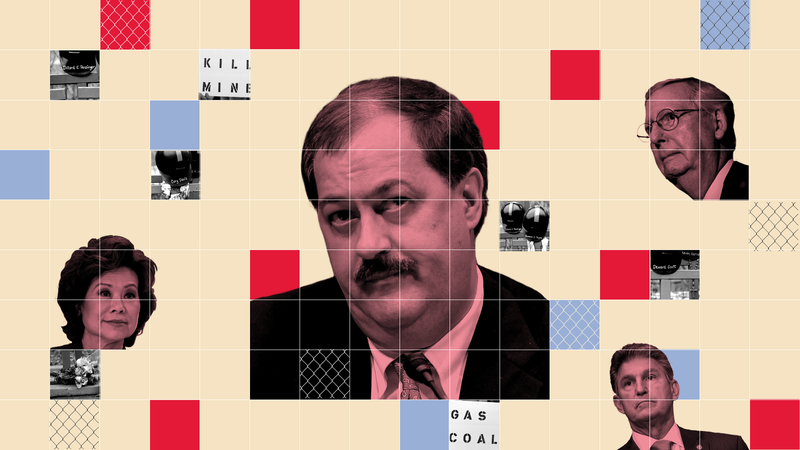 My Axios colleague Alayna Treene reports that the West Virginia Senate primary has become a lot more interesting thanks to ex-coal baron Don Blankenship, one of three GOP contenders, who has railed against government and even high-profile Republicans with vulgar and personal insults. Why it matters: Although conventional Republicans are hoping to force Blankenship — who's fresh out of prison after his involvement in a 2010 mine explosion that killed 29 people — out of the race, he's found a following among Republicans who share his hatred for the establishment and appreciate his brashness. Why he's so controversial: His attacks, on Senate Majority Leader Mitch McConnell in particular, as part of his cutthroat campaign are becoming too outrageous to ignore. “One of my goals as U.S. senator will be to ditch cocaine Mitch. When you vote for me, you’re voting for the sake of the kids,” [Facebook ad] [USA Today story]. Go deeper: Click here for the whole story. "U.S. solar and wind energy companies have donated far more money to Republicans than Democrats in congressional races this election cycle ... an unprecedented tilt to the right for an industry long associated with the environmental left." One reason it matters: The story points out that GOP lawmakers have helped to defeat congressional efforts to scuttle key renewables tax incentives. It also reflects how renewable power has become a major industry in red and blue areas. "That has helped strengthen the industry’s appeal to Republican lawmakers, allowing it to rebrand as a jobs engine for the heartland, instead of as a tool for combating global warming, an issue that played better with Democrats," they report. By the numbers: "Overall, political action committees representing solar and wind companies have donated nearly $400,000 to candidates and PACs in the 2018 election cycle, including $247,000 to Republicans, $139,300 to Democrats, and $7,500 to independents," the story notes.